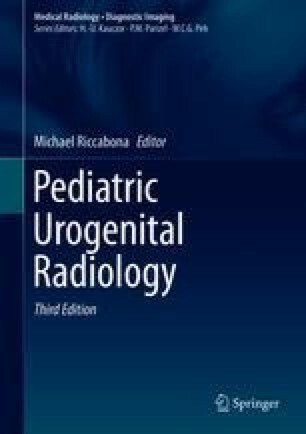 Paediatric renal radionuclide imaging is used for accurate assessment of renal function and the drainage pattern. The increase in functional MRI has overtaken radionuclide functional assessment in only a small number of establishments due to the requirement for patient cooperation, reasonably long scanning times and the possible need for general anaesthetic in order to undertake the MRI study. The availability of MRI scanning time also plays a significant contribution. Static and Dynamic renal scintigraphy with indirect radionuclide studies and the judicious use of Single photon emission tomography and Positron emission tomography in genito-urinary malignancies make up the majority of paediatric nephrourological scintigraphic imaging.